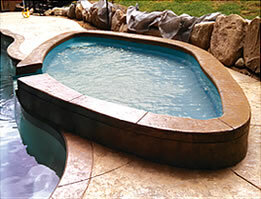 Expert Pool Builders offers top quality Inground Spas. Take a look at our entire lineup of Inground Spas below. You can choose from different spa or pool types from the menu above. WxL: 8' 4" x 8' 4"
WxL: 7' 6" x 7' 6"
WxL: 7' 3" x 7' 3"